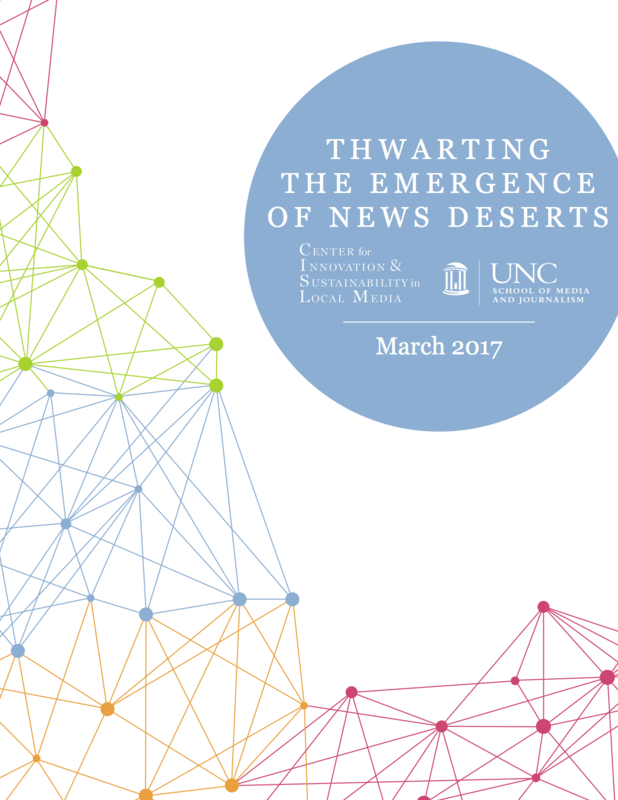 The Center for Innovation and Sustainability in Local Media will present a symposium entitled “Thwarting the Emergence of News Deserts,” on Tuesday, March 28, at the Newseum in Washington, D.C., from 11:00 a.m. until 2:00 p.m. The program for this symposium will be centered around Penny Abernathy’s groundbreaking report, The Rise of a New Media Baron and The Emerging Threat of News Deserts. Prof. Abernathy will discuss her groundbreaking report, The Rise of the New Media Barons and the Threat of News Deserts. Over the past decade, a new media baron has emerged. Private equity funds, hedge funds and investment groups have swooped in to buy and manage newspapers. With the industry in distress and publishers struggling to adapt to the digital age, many communities are in danger of losing their primary source of local news and information. This report explores the long-ranging social, economic and political impact of this shift in ownership. 555 Pennsylvania Ave NW, Washington, D.C. Please enter through the Group Entrance located on C street.